Hand in hand with partners like PARKER, BUCHER and SUN. 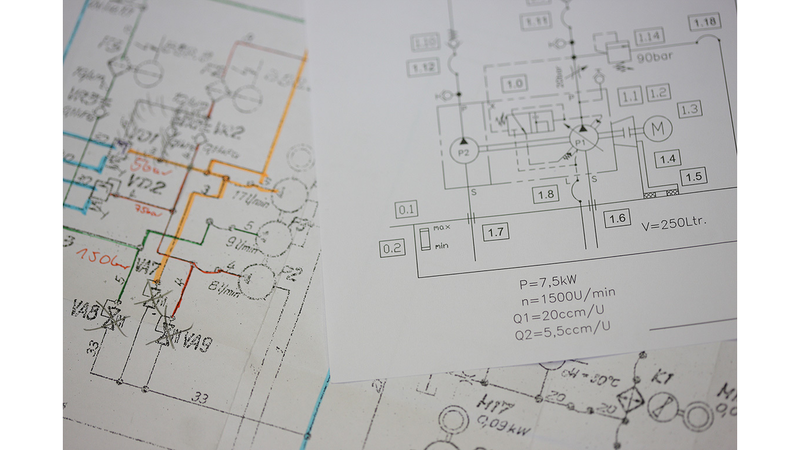 In Systems Engineering, project methods are used to design client-specific solutions in the form of manifold control blocks. These are mainly used in mobile equipment for agriculture and municipal services, in road-building and construction machines, as well as in renewable energy systems such as wind turbines or solar power plants. The manifold blocks, in steel or aluminium design, offer maximum functionality in a very small space. Valve combinations in monoblock construction consist of a single, heavy-duty, cast body that is designed for high working pressures. Thanks to the wide selections of spools, types of operators, types of hand levers, and auxiliary valves such as secondary pressure relief, anti-cavitation make-up, pressure control, flow control and check, these are particularly suited for use in complex applications where small installation dimensions are vitally important. The combination of inlet, intermediate and outlet sections makes up a very adaptable building-block system whose elements are selected for the specific application and then assembled into a valve block. Various functions such as proportional flow control, downstream pressure compensation, anti-shock valves, anti-cavitation, seat valves, manual override, etc. enable wide application in mobile and industrial machines. Application-specific control units are assembled using flange-mounting and sectional valves. Directional, pressure control, flow control and check valves can be combined in one valve block. These are widely used in mobile and industrial applications.